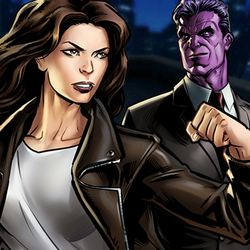 A total of 25 Tasks need to be completed in order to unlock Jessica Jones Tasks like fights have to be completed separately. Kingpin is the Group Boss of Spec Op 31. He can be found on the current Spec-Op map. Compete in PVP to test your skills against other players. PVP requires completing Chapter 1 Mission 4 of Story Mode. Complete missions to add points to your cumulative score. Achieve a high enough score to earn a new Mastery Star! Unstable Isotope-8 can be found in normal combat, as well as rewards from deploys and boss fights. You can also get some from your friends! You can only receive Distress Calls by visiting allies. Add allies to help you win more battles. Send any hero on any flight deck mission. Unlocked after finished Task 8. Complete 2 star mastery on all Spec Op 31 missions to unlock new Research - "Blueprint: The Made Man"
Unlocked after finished Task 19. Complete 3 star mastery on all Spec Op 31 missions to unlock new Research - "Blueprint: Maggia Captain's Fist"
Unlocked after finished Task 24. Complete 4 star mastery on all Spec Op 31 missions to unlock new Research - "Blueprint: Hammer Pistol"
All entries in tasks are as they appear in-game. For clarifications check Hints section. Task 9: Can be completed outside of Special Ops Missions. Compete in PVP to test your skills against other players. Hint: Practice matches count as battles. 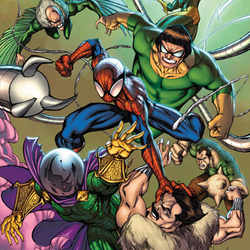 Kraven and Lizard are the Minibosses found in Spec Op 27. Defeat either of them to complete this task. Fight Karn either on your own map or on your friends' maps for free. Karn respawns every 72 hours. Complete 2 star mastery on all Spec Op 27 missions to unlock new Research - "Blueprint: Bio-Electric Pistol"
Complete 3 star mastery on all Spec Op 27 missions to unlock new Research - "Blueprint: Superior Combat Sensor"
Complete 4 star mastery on all Spec Op 27 missions to unlock new Research - "Blueprint: Relentless Rapier"